Like all who see their lives as a grateful response to God’s call, Jesus must make the basic choice to trust God, whatever the circumstances he finds himself in. In this story, under very great pressure, Jesus makes his choice. Who does he remind you of at this moment of decision? Verse 1: Identify the wilderness into which you – or someone you know, or your community – have been led by the Spirit. Note that it is the Spirit – God’s love – who leads him there. What does that say about true love? Deuteronomy 8:1-5 will help you to answer this question. Ask yourself also, do we sometimes go into the wilderness but not led there by the Spirit? What happens then? Verses 3 – 10: The three temptations are three aspects of the one temptation not to trust God, or (stated in positive terms) to follow the way of achievement rather than that of trust. Repeat Jesus’ three responses to yourself many times until you can identify with them. From that perspective you will understand the temptations. Thank God for the great people who continue to respond like Jesus. How is Satan tempting them? How is Satan tempting the Church? Verse 11: This is the moment when an individual (or a community) who has remained faithful through a long temptation experiences the love and care of God for that person (or cause) to whom he or she has been faithful. Who are the angels God sends to look after his faithful ones? Lord, it is risky to let ourselves be led by the Spirit. So often he leads us into the wilderness to be tempted by the devil. and angels will appear to look after us. because we are hurt or angry or resentful of others. Teach us that we are only safe in the wilderness if the Spirit leads us there. 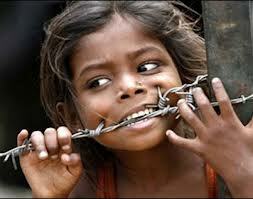 hungry for love, for security, for recognition, for ordinary food. and said to them that they can turn the stones before them into loaves. but on every word that comes from your mouth. We pray for the youth of today. they must fall at the feet of the devil and worship him. worshipping you, the Lord their God, and serving you alone. the wilderness of falling numbers, of failure, of uncertainty, of criticism. – to fall at the devil’s feet and worship him. – that we worship you as our God and serve you alone. 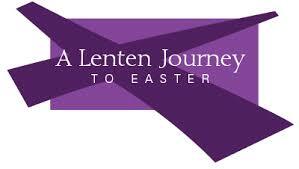 For many people, today, rather than Ash Wednesday, is their first encounter with the season of Lent. It is therefore worthwhile presenting today as the introduction to the whole season. However, the difficulty is that ‘Lent’ must not be presented as a season on its own, possibly with Easter as sequel; rather it has to be seen as a stage in the annual season of renewal, the celebration of death of the old person — resurrection to new life, that is central to the whole time between Lent’s beginning and Pentecost. We are the people who have been baptised into Christ and share in his new life. But we are also a people still in need of repentance and renewal. Today we begin a season that leads us through Christ’s death to his resurrection and onwards to our celebration of the Spirit dwelling within us at Pentecost. Today we begin a season of renewal in that new life, we start to take stock of the state of our discipleship as individuals and as a people. During the coming weeks we will focus on the core of our faith and our dedication to building the new kingdom announced by Jesus. 1. We speak much about ‘discipleship’ and about ‘being disciples’; we also speak about the’ discipline of Lent: but rarely do we link discipleship with discipline, fixed training regimes, and building up skills through practice. In our cult­ure discipline belongs to dieting, skills training belongs to sporting activities, and warm feelings belong to religious dis­cipleship. Earlier Christians took a far more practical ap­proach to living a Christian life and discipleship: it required disciplined training, skills acquisition, mentoring by more experienced members of the community (surviving vestigially in ‘God parents’), regular practice, and periodic renewal and servicing. Here lies one of the origins of Lent and it became linked to preparing for baptism since the prospective mem­bers of the community had to have learned the basic skills. 2. From the outset, three skills were seen as essential. First, the ability to pray: both alone and in a willingness to take part in the liturgy. One cannot be a Christian without prayer, nor call yourself one unless you gather with the Christians for prayer. 3. Second, a Christian must have the ability to fast. Fasting is a private and a public act. Private in that it touches one person­ally and makes one conscious of what one is about, literally in the pit of the stomach. This is felt religion, not an engage­ment with warm abstractions. Fasting is also communal in that it is done at fixed times of the week and year, and when one fasts as a part of a group, one identifies with them by sharing their practice. Then one is not acting alone, but it is the whole group that is imploring heaven collectively for their needs by fasting. Fasting without the dimension of prayer is simply dieting; prayer without fasting (or some other collective activity that ‘touches’ us), may be little more than repetitive sounds. 4. Third, giving to the poor (almsgiving) is a basic Christian act­ivity, and any notion that Christian belief can be separated from care for justice and: development would involve imag­ining Christianity as a philosophical system and divorce it from its roots – although this is a way of viewing Christian belief that is today quite common. Early Christians assumed that it was no use thanking God for his gifts and asking for his mercy, unless they were prepared to divert their gifts, re­sources, and mercy to the poor. To acknowledge God as our creator implies a care for all in need. And to acknowledge need and not do something about it is hypocrisy. Now that we have a global consciousness (just turn on the radio and listen to the news: details from every place on the planet where something bad, good, or interesting has happened over the last 12 hours), our almsgiving must have a global reach, hence the importance during Lent of thinking about world poverty, supporting development agencies, and taking some action to remove injustice: this is not a parallel activity to Lent, but part of its core. But remember, prayer and fasting without care for the poor turns faith into a private affair or a ‘holy huddle’, but almsgiving without prayer and fasting while noble, also fails to acknowledge the larger mystery that envelops all creation. making the world a better place for all God’s children. Being Christians, we are part of the covenant people. 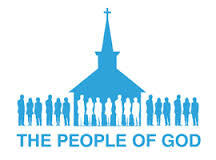 We belong to the people whom God has chosen as his own people and with whom he established a covenant relationship. A covenant is an agreement between two or more parties. It is an alliance or partnership between them and it involves a commitment from each of the participating parties to be faithful to the agreement that they made when beginning their special relationship. In the Old Testament, the Chosen People were the Jews. Later, Jesus — himself a Jew — developed the covenant relationship by establishing a new means of conducting our relationship with God through the Church which, according to the paragraph 877 of the Catechism of the Catholic Church, is ‘the new Israel’. Therefore, as people in the covenant relationship with God, we are unique. Not only in the sense of being privileged due to our membership of the Church, but also in the sense of having serious obligations. In that relationship, God promises to be our God and we, in turn, promise to be his people. These promises are binding forever and faithfulness is necessary. The covenant relationship requires obedience from us. In return, God will reward us with great graces and, ultimately, with heaven. There is an example of this in the account of Jesus being led by the Spirit into the wilderness to be tempted by the devil (see Mt 4:1-11). Even after fasting for forty days, Jesus resisted the devil’s temptations and succeeded in sending him away. By remaining faithful to his Father’s will, Jesus taught that if we resist temptation we will not become slaves to sin. As with Jesus during his temptations in the wilderness, God the Father has never been, and could not be, unfaithful to his promise to be our God at all times and in all places. God does not change and his promise is irrevocable. Throughout human history, however, God’s chosen people were often unfaithful to the covenant and it has needed renewal by them. Thus the covenant relationship was always cyclical with repeating cycles of fidelity, sin, punishment and reconciliation. In the Hebrew scriptures we read that the covenant was renewed several times after the people had been disloyal and had abandoned living in accordance with God’s commandments. The renewal was expressed in various signs and rituals. For example, the sign of the covenant that God made with Noah was the rainbow. Similarly, the sign of the covenant that God made with Abraham (that his descendants would be as many as the stars) was male circumcision. The sign of the covenant that God made with Moses on Mount Sinai was the Ten Commandments. Subsequently, in the New Testament we read that the new and eternal covenant between God and his Chosen People was sealed by the blood of Christ in his suffering and death. The sign of this covenant is ritualised in the sacrament of baptism. In baptism we die with Christ and rise to new life with him. Living the baptised life authentically, as evidenced by our faithfulness to God’s commandments, is the proof that we are taking the covenant seriously. Central to the covenant relationship is a continual turning towards God and turning away from sin, which is what damages and breaks the covenant. 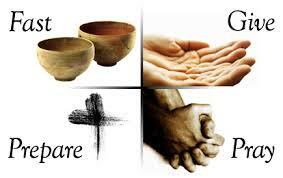 During Lent, through prayer, fasting and charitable works, we renew our covenant relationship with God. We are called to undergo conversion through repentance for our sins so that we will be ready to appreciate the meaning of the death and resurrection of Christ at Easter. The ritual sign of renewing our baptismal commitment is celebrating the sacrament of reconciliation. Lent is a particularly appropriate time for us to go to confession and, in the spirit of true repentance, to be assured that our sins are forgiven. 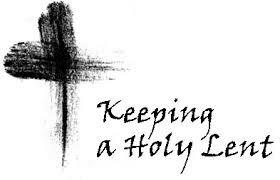 The message of Lent is summarised in the words spoken to us on Ash Wednesday when the sign of the cross is traced on our foreheads with the blessed ashes: Turn away from sin and be faithful to the gospel. Now is the time to begin the process of conversion so that our commitment to God may become as unbreakable as his commitment to us. Jesus is tempted to use creation just for himself. This can happen with money, other people, the environment and religion. We are called to look after God’s creation, not con­trol it. 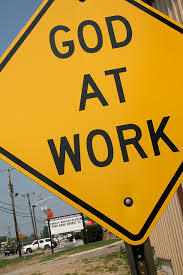 To be co-workers with God is our call – to focus on people as well as plans, to feel the needs here and abroad. One view of God is that he looks after the world for good or bad, and we are just the receivers. The other is that we are co-workers in developing the world and God’s creation. Jesus was tempted to throw himself away from the world as he knew it, but he did not. He would live by the word of God, and God would care for him as for the parents in the first reading. ‘A Christian who doesn’t safeguard creation, who doesn’t make it flourish, is a Christian who isn’t concerned with God’s work, that work born of God’s love for us’ (Pope Francis, 2015). The temptation to Jesus was to take him off the path of his father. Like him, we are often tempted to use the creation of God just for our benefit. Our call is to be co-creators of the world with God. Imagine a garden where everything is beautiful. It is the ‘creation’ of a gardener. Then imagine that someone has ruined one corner of it– notice the difference. Apply this to how we treat God’s creation.May we care for your creation, O Lord, with the love you have for creation and for us. In Matthew’s account of Jesus’ 40-day desert experience, Jesus is confronted with several choices. All of the tempter’s offers would have Jesus sin against the great commandment of Deuteronomy: “You shall love the Lord your God with all your heart, and with all your soul, and with all your strength.” (Deuteronomy 6: 5) The tempter offers comfort, wealth and power, but Jesus chooses, instead, the course of humble and prayerful servanthood that the Father has chosen for him. All of Jesus’ responses to the devil’s challenges are found in Deuteronomy (8: 3, 6: 16, 6: 13). The Spirit who called Jesus to the wilderness calls us, as well, to a forty-day “desert experience,” a time to peacefully and quietly renew and re-create our relationship with God, that God might become the center of our lives in every season. This First Sunday of Lent confronts us with choices: personal profit, comfort and glory or the life of God. The season of Lent calls us to embrace God’s Spirit of truth that we may make the choices demanded by our complicated and complex world with courage, insight and faith. Lent is the season for meaningful fasting — fasting not just for the sake “of giving something up” but fasting from whatever derails or hampers our relationship with God and alienates us from others, fasting from everyday distractions in order to put our time and energy into the things of God. Addiction is hard word — it conjures up horrifying images of life-threatening dependence on some narcotic or hallucinogen that robs us of our ability to control our lives. But the fact is that every one of us has some addiction: the things we cannot imagine living without. It may be eating, shopping, blaming, or taking care of other people. We can be addicted to the latest, the newest, the hottest, the most fashionable. Our addiction may be our obsession with our computer or electronic toys, our favorite band, or our golf clubs. We are all addicted to habits, substances or surroundings that comfort us, that provide a refuge for us, that block out what scares or hurts us. At some point in our lives, however, we find ourselves alone in some kind of desert or wilderness, deprived of our addictions. We experience an emptiness within us that our addiction will not fill. We are suddenly exposed, like someone addicted to painkillers whose prescriptions have just run out. It is hard. It is awful. But to become fully human, it is necessary to encounter the world without our own anesthesia, to find out what life is like with no comfort but God. That may be the simplest definition of addiction: anything we use to fill the empty place inside us that belongs to God alone. The season of Lent calls us to leave behind our addictions and pacifiers, our comfort food and toys, and journey to the desert, to be alone with nothing but God. It is a time to take a hard look at the “addictions” that control us and regain control of our time and values so that we may become the man or woman God created us to be. May our “desert time” with God over the next 40 days, leaving our addictions and obsessions behind, help us re-fill our souls and spirits with the wisdom and grace of the God who constantly seeks us out and calls us back to him. In the first reading from the Book of Genesis we have the story of the tempting of Adam and Eve and in the Gospel we have the story of the tempting of Jesus. These are two sophisticated stories, and are not meant to be taken literally. They are essentially about making choices. The reading from Genesis tells us that Adam and Eve were given the possibility of making a choice. The basic fundamental choice was to live for God, dependant and obedient to His will, or to say 'no' to God, severing themselves from him and live in the illusion that they did not need God. They were tempted by the serpent, the symbol of Satan. They were tempted through deceit. They were tempted to believe that they could be Gods themselves. They disobeyed; they sinned and had to face the consequences of their choice. An American Indian was giving testimony about temptations. He said, "My brothers, I seem to have two dogs fighting in my heart. One is a very good dog, a beautiful white dog. He is always watching over my best interests. The other is a very bad dog, a black dog, who is always trying to destroy a lot of things that I want to see built up. These dogs give me a lot of trouble because they are always quarreling and fighting." One of his hearers asked him. "Which one wins?" The young man said immediately, "The one to which I say: 'sic em'." -Shades of: "If you walk in the Spirit, we will not fulfill the lusts of the flesh.."
In the second reading from the letter of St. Paul to the Romans Paul reminds us of the social consequences of sin. Sin is never a private affair affecting only myself. When we sin all our relationships get affected: our relationships with our inner self, our relationships with our brothers and sisters, our relationship with our God and our relationship with nature and the world in which we live. The harmony is shattered and division and disintegration sets in. However, Paul reminds us that just as Sin came into the world through the disobedience of one man, Adam, so through the obedience of one man, Jesus Christ, forgiveness and reconciliation is granted to us. In the gospel we are reminded that just as the first Adam was tempted, so the new Adam, Jesus Christ was also tempted. Just as Adam and Eve had to make a choice so Jesus to had to make choices and re affirm his obedience to doing the will of his Father. 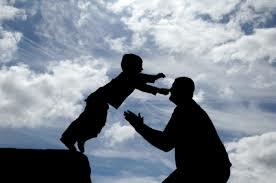 Unlike Adam he made an irrevocable decision to do the Father's will no matter what the consequences. In today's gospel we see Jesus being tempted by Satan. It is a common practice for great religious leaders to go to a remote place to be alone with God and their own thoughts as they prepare to undertake some new direction or vocation in life. 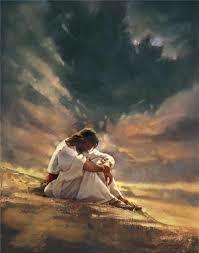 Jesus prepares him self by forty days of prayer and fasting in the desert. The prayer and fasting is not an end in itself but a preparation for his mission. Our own prayer and fasting during this season of lent is not an end in itself but a preparation for our conversion and reconciliation with God. Is it a saint or a horse? Once upon a time a very earnest young man visited a famous rabbi. He told the rabbi he wanted to become a rabbi and asked for his advice. It was winter time. The winter stood at the window looking out into the yard while the rabbinical candidate gave him a glowing account of his piety and learning. The young man said, "You see, Rabbi, I always dress in spotless white like the sages of old. I never drink any alcoholic beverages; only water ever passes my lips. I perform numerous penances. For instance, I always carry sharp-edged nails inside my shoes to mortify me. Even in the coldest weather, I lie naked in the snow to punish my flesh. And to complete my penance, I take a dozen lashes every day on my bare back." As the young man spoke, a stable boy led a white horse into the yard and took him to the water trough. The horse drank his fill of water, and having done so rolled in the snow, as horses sometimes do. "Just look!" cried the rabbi. "That animal too is dressed in white. It also drinks nothing but water, has nails in his shoes and rolls naked in the snow. Also rest assured, it gets its daily ration of lashes on the rump from its master. Now I ask you, is it a saint or is it a horse?" -The point the rabbi was making was that penance is not an end in itself. What is the purpose of penance? It is not meant to undo the past -the past is done. Nor is it meant to persuade God to erase our sins and forego the punishment we deserve for them. We undertake penance to acknowledge we are sinners and we desire to change our lives. Satan represents the power and the embodiment of forces that go against Jesus trying to dissuade him from his mission, which required total obedience to God. Temptation puts subtle pressure to deviate, to give in to bodily needs and pleasures and seek our will rather than the will of God. The temptations of Jesus were real and he had to struggle against giving in to them. His tempting was not a one-off event. He was tempted several time and the temptations would continue right through his life -till the very end. His victory in the desert was not the winning of the war, but merely the winning of the battle. For Jesus the temptations came in various forms and were related to the happenings of his life. After fasting for several days Jesus was hungry and was tempted to use his power to satisfy his bodily needs. "If you are the Son of God, tell these stones to turn into loaves." But Jesus was not to be put off, he used the word of God to ward off temptation. "Man does not live on bread alone but on every word that comes from the mouth of God. Again he was tempted by Satan to throw himself from the parapet of the temple and force the hand of God into doing something dramatic and flashy. Jesus rejects the sensational way as not God's way. "You will not put the Lord God to the test." Still Satan never gives up, he never sleeps, he has yet another try: "I will give you all the kingdoms of the world if you will fall at my feet and worship me." Jesus is tempted by the offer of power and possessions, but he rejects Satan once more with the power of the word of God. "Be off Satan! Scripture say, 'You must worship your God and serve Him alone!" Like Jesus, we too will be tempted throughout our lives. Temptations by themselves are not bad; it is how we confront them that makes all the difference. By constantly struggling with temptations we become stronger. Each time one is tempted to do evil but does good, one becomes stronger. The battle over evil is never over as long as we are here on earth. However we cannot fight temptations all by ourselves we need God's help. Firstly we need to acknowledge our weakness and sinfulness in the words of today's response psalm: "Have mercy on us, O Lord for we have sinned." Secondly, we can find our strength and response to the wiles of Satan by having recourse to the Word of God. It was F.B. Meyer, I believe, who once said that when we see a brother or sister in sin, there are two things we do not know: First, we do not know how hard he or she tried not to sin. And second, we do not know the power of the forces that assailed him or her. We also do not know what we would have done in the same circumstances. Stephen Brown, Christianity Today, April 5, 1993, p. 17. Survey respondents noted temptations were more potent when they had neglected their time with God (81 percent) and when they were physically tired (57 percent). Resisting temptation was accomplished by prayer (84 percent), avoiding compromising situations (76 percent), Bible study (66 percent), and being accountable to someone (52 percent). Discipleship Journal, November / December, 1992. 1. Are we being desensitized by the present evil world? Do things that once shocked us now pass us by with little notice? Have our sexual ethics slackened? 2. Where do our minds wander when we have no duties to perform? 3. What are we reading? Are there books or magazines or files in our libraries that we want no one else to see? 4. What are we renting at the local video stores? How many hours do we spend watching TV? How many adulteries did we watch last week? How many murders? How many did we watch with our children? 5. How many chapters of the Bible did we read last week? Paul Borthwick, Leading the Way, Navpress, 1989, p. 120-121. Historian Shelby Foote tells of a soldier who was wounded at the battle of Shiloh during the American Civil War and was ordered to go to the rear. The fighting was fierce and within minutes he returned to his commanding officer. "Captain, give me a gun!" he shouted. "This fight ain't got any rear!" Daily Walk, July 10, 1993. Toad baked some cookies. "These cookies smell very good," said Toad. He ate one. "And they taste even better," he said. Toad ran to Frog's house. "Frog, Frog," cried Toad, "taste these cookies that I have made." Frog ate one of the cookies, "These are the best cookies I have ever eaten!" said Frog. Frog and Toad ate many cookies, one after another. "You know, Toad," said Frog, with his mouth full, "I think we should stop eating. We will soon be sick." "You are right," said Toad. "Let us eat one last cookie, and then we will stop." Frog and Toad ate one last cookie. There were many cookies left in the bowl. "Frog," said Toad, "let us eat one very last cookie, and then we will stop." Frog and Toad ate one very last cookie. "We must stop eating!" cried Toad as he ate another. "Yes," said Frog, reaching for a cookie, "we need willpower." "What is willpower?" asked Toad. "Willpower is trying hard not to do something you really want to do," said Frog. "You mean like trying hard not to eat all these cookies?" asked Toad. Frog put the cookies in a box. "There," he said. "Now we will not eat any more cookies." "But we can open the box," said Toad. "That is true," said Grog. Frog tied some string around the box. "There," he said. "Now we will not eat any more cookies." "But we can cut the string and open the box." said Toad. "That is true," said Frog. Frog got a ladder. He put the box up on a high shelf. "There," said Frog. "Now we will not eat any more cookies." "But we can climb the ladder and take the box down from the shelf and cut the string and open the box," said Toad. "That is true," said Frog. Frog climbed the ladder and took the box down from the shelf. He cut the string and opened the box. Frog took the box outside. He shouted in a loud voice. "Hey, birds, here are cookies!" Birds came from everywhere. They picked up all the cookies in their beaks and flew away. "Now we have no more cookies to eat," said Toad sadly. "Yes," said Frog, "but we have lots and lots of willpower." "You may keep it all, Frog," said Toad. "I am going home now to bake a cake." Ray & Anne Ortlund, Renewal, Navpress, 1989, p. 73-74. In the Australian bush country grows a little plant called the "sundew." It has a slender stem and tiny, round leaves fringed with hairs that glisten with bright drops of liquid as delicate as fine dew. Woe to the insect, however, that dares to dance on it. Although its attractive clusters of red, white, and pink blossoms are harmless, the leaves are deadly. The shiny moisture on each leaf is sticky and will imprison any bug that touches it. As an insect struggles to free itself, the vibration causes the leaves to close tightly around it. This innocent-looking plant then feeds on its victim. Our Daily Bread, December 11, 1992. What is temptation? Seduction to evil, solicitation to wrong. It stands distinguished from trial thus: trial tests, seeks to discover the man's moral qualities or character; but temptation persuades to evil, deludes, that it may ruin. The one means to undeceive, the other to deceive. The one aims at the man's good, making him conscious of his true moral self; but the other at his evil, leading him more or less unconsciously into sin. God tries; Satan tempts. Fairbain, quoted in The Words and Works of Jesus Christ, J.D. Pentecost, p. 99. While my wife and I were shopping at a mall kiosk, a shapely young woman in a short, form-fitting dress strolled by. My eyes followed her. Without looking up from the item she was examining, my wife asked, "Was it worth the trouble you're in?" Drew Anderson (Tucson, AZ), Reader's Digest. In China's later Han era, there lived a politician called Yang Zhen, a man known for his upright character. After Yang Zhen was made a provincial governor, one of his earlier patrons, Wang Mi, paid him an unexpected visit. As they talked over old times, Wang Mi brought out a large gold cup and presented it to Yang Zhen. Yang Zhen refused to accept it, but Wang Mi persisted, saying, "There's no one here tonight but you and me, so no one will know." "You say that no one will know," Yang Zhen replied, "but that is not true. Heaven will know, and you and I will know too." Wang Mi was ashamed, and backed down. Subsequently Yang Zhen's integrity won increasing recognition, and he rose to a high post in the central government. Human nature is weak, and we tend to yield to temptation when we think nobody can see us. In fact, if there was no police force, many people would not hesitate to steal. This is not to say that when we do something bad, we feel no compunction at all, just that man is weak and prone to yield to temptation. But even if nobody witnesses our sins, and not a soul knows of them, we cannot hide the truth from the eyes of our conscience. In the end, what is important is not that other people know, but that we ourselves know. When Yang Zhen told Wang Mi that "Heaven will know," he meant that the gods would know what he had done: in other words, his own conscience. A person who sins neither in thought nor deed, and is fair and just, gains enormous courage and strength. As a leader, you need courage born of integrity in order to be capable of powerful leadership. To achieve this courage, you must search your heart, and make sure that your conscience is clear and your behavior is beyond reproach. Konosuke Matsushita, founder of Panasonic in his book Velvet Glove, Iron Fist (PHP Institute, Tokyo), Bits & Pieces, June 25, 1992. In June 1989 a 19-year-old German named Mathias Rust created quite a stir when he flew a Cessna 172 airplane more than 400 miles into Soviet airspace. Rust's five-hour trip ended when he landed his plane near the Kremlin in Moscow. Soviet officials then scrambled to find out how a teenage could slip past their air defenses. Apparently radar had picked up the craft, but it was presumed to be a Soviet plane and no attempt was made to identify it. Later, air force jets twice flew around the intruding Cessna, but air defense commanders showed "intolerable unconcern and indecision about cutting short the flight of the violator plane without resorting to combat means," the investigation concluded. Today in the Word, June 6, 1992. E. Lutzer, Putting Your Past Behind You, Here's Life, 1990, p.54. Children grow up with teddy bears and often figure that since the toys are cuddly, the real things might also be so. In 1990 two boys scaled the fence at the Bronx Zoo in New York City and went into the polar bear compound. The next day they were found dead. Your pet sin can kill! A scene from Bunyan's Pilgrim's Progress portrays Interpreter bringing Christian to a wall where fire is blazing from a grate. A man is trying to douse the fire with water. Then Interpreter shows Christian the other side of the wall, where another man is secretly pouring oil on the fire to keep it ablaze. Interpreter says, "You saw the man standing behind the wall to maintain the fire, teaching you that it is hard for the tempted to see how this work of grace is maintained in the soul." Satan tries to quench faith, but Christ keeps it alive. What settings are you in when you fall? Avoid them. What props do you have that support your sin? Eliminate them. What people are you usually with? Avoid them. There are two equally damning lies Satan wants us to believe: 1) Just once won't hurt. 2) Now that you have ruined your life, you are beyond God's use, and might as well enjoy sinning. "Learn to say no. It will be of more use to you than to be able to read Latin." On the TV show "Hee Haw," Doc Campbell is confronted by a patient who says he broke his arm in two places. The doc replies, "Well then, stay out of them places!" Satan will seldom come to a Christian with a gross temptation. A green log and a candle may be safely left together, but a few shavings, some small sticks and then larger, and you may bring the green log to ashes. Reports the DENVER POST: "Like many sheep ranchers in the West, Lexy Fowler has tried just about everything to stop crafty coyotes from killing her sheep. She has used odor sprays, electric fences, and 'scare-coyotes.' She has slept with her lambs during the summer and has placed battery-operated radios near them. She has corralled them at night, herded them at day. But the southern Montana rancher has lost scores of lambs--fifty last year alone. "Then she discovered the llama--the aggressive, funny-looking, afraid-of-nothing llama...'Llamas don't appear to be afraid of anything,' she said. 'When they see something, they put their head up and walk straight toward it. That is aggressive behavior as far as the coyote is concerned, and they won't have anything to do with that... Coyotes are opportunists, and llamas take that opportunity away.'" Apparently llamas know the truth of what James writes: "Resist the Devil, and he will flee from you" (4:7). The moment we sense his attack through temptation is the moment we should face it and deal with it for what it is. The thing that makes men and rivers crooked is following the line of least resistance. Men who trap animals in Africa for zoos in America say that one of the hardest animals to catch is the ringtailed monkey. For the Zulus of that continent, however, it's simple. They've been catching this agile little animal with ease for years. The method the Zulus use is based on knowledge of the animal. Their trap is nothing more than a melon growing on a vine. The seeds of this melon are a favorite of the monkey. Knowing this, the Zulus simply cut a hole in the melon, just large enough for the monkey to insert his hand to reach the seeds inside. The monkey will stick his hand in, grab as many seeds as he can, then start to withdraw it. This he cannot do. His fist is now larger than the hole. The monkey will pull and tug, screech and fight the melon for hours. But he can't get free of the trap unless he gives up the seeds, which he refuses to do. Meanwhile, the Zulus sneak up and nab him. "Fire tries Iron, and temptation tries a just man." Where there is no temptation, there can be little claim to virtue. C. Swindoll, Sanctity of Life, Word, 1990, p. 51. Iron Eyes Cody is a native American actor who once did a TV spot for the Keep America Beautiful campaign. He was an Indian drifting alone in a canoe. As he saw how our waters are being polluted, a single tear rolled down his cheek, telling the whole story. This powerful public service commercial still shows up on TV screens after 17 years. In 1988 Cody repeated an old Indian legend in Guideposts magazine. Here it is: Many years ago, Indian youths would go away in solitude to prepare for manhood. One such youth hiked into a beautiful valley, green with trees, bright with flowers. There he fasted. But on the third day, as he looked up at the surrounding mountains, he noticed one tall rugged peak, capped with dazzling snow. I will test myself against that mountain, he thought. He put on his buffalo-hide shirt, threw his blanket over his shoulders and set off to climb the peak. When he reached the top he stood on the rim of the world. He could see forever, and his heart swelled with pride. Then he heard a rustle at his feet, and looking down, he saw a snake. Before he could move, the snake spoke. "You knew what I was when you picked me up." said the snake as it slithered away." Bits and Pieces, June, 1990, p. 5-7. God is disappointed and displeased when we are tempted. To be strongly tempted means we are as guilty as if we had actually committed sin. We overcome all temptation by separation from it. When I am spiritually mature, I will no longer be harassed by temptation. Charles Stanley, tape AU146, In Touch, June 1988, p. 13. Some people fall into temptation, but a great many make plans for disaster ahead of time. "Son," ordered a father, "Don't swim in that canal." "OK, Dad," he answered. But he came home carrying a wet bathing suit that evening. "Where have you been?" demanded the father. "Swimming in the canal," answered the boy. "Didn't I tell you not to swim there?" asked the father. "Why did you?" he asked. "Well, Dad," he explained, "I had my bathing suit with me and I couldn't resist the temptation." "Why did you take your bathing suit with you?" he questioned. "So I'd be prepared to swim, in case I was tempted," he replied. Too many of us expect to sin and excite sin. The remedy for such dangerous action is found in Romans 13:14, "But put ye on the Lord Jesus Christ, and make not provision for the flesh, to fulfill the lusts thereof." Whenever we play with temptation, it is easy to drift into great danger. A woman was bathing in the Gulf of Mexico. She was enjoying the comfort of relaxing on an inflated cushion that kept her afloat. When she realized that she had been swept about a half mile out from the beach, she began to scream, but no one heard her. A coast guard craft found her five miles from the place where she first entered the water. She did not see her danger until she was beyond her own strength and ability. C. Swindoll, One Step Forward, p. 85.